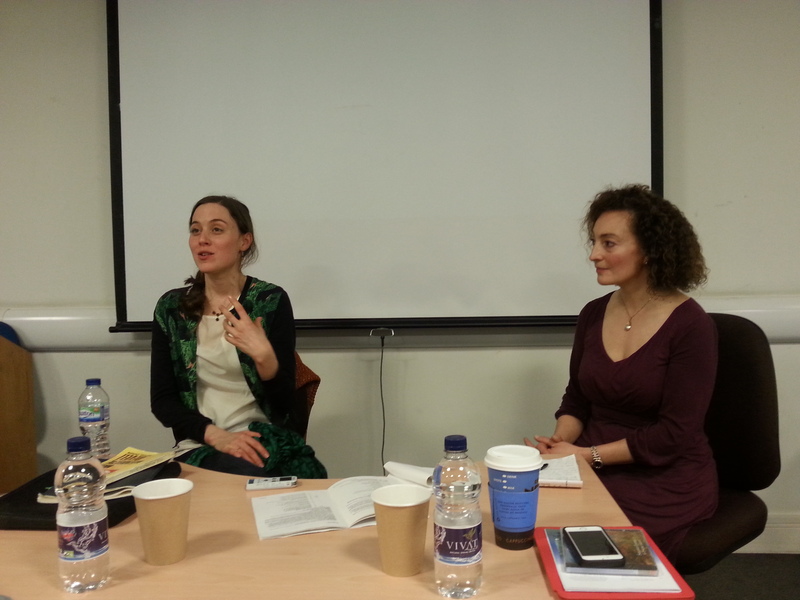 The Programme of Armenian Studies hosted Jasmin İhraç and Shakeh Major Tchilingirian to discuss their experiences as dancers and the relationship of their art to the troubled Armenian-Turkish relationship. Jasmin İhraç works as a choreographer and dancer in Berlin. After having received her degree in Sociology (Diplom, Freie Universität Berlin), she studied Contemporary Dance, Context and Choreography at Hochschulübergreifendes Zentrum Tanz (HZT Berlin, University of the Arts). From 2012-2014 she worked as a research assistant in the DFG-funded project Media and constitutive systems: Archiving performance-based art (HMT Leipzig/HZT Berlin). Her own solo and group pieces have been shown at Volksbühne Berlin (Trois Voies), Ballhaus Naunynstraße (Mj’a sin-Verflechtungen), Bethanien Berlin (iz-le) and Palais de Tokyo, Paris (On Speeches). She currently dances in Collective Jumps by Isabelle Schad and is developing a new choreographic work that will premier end of 2016 at HAU, Hebbel Theater, Berlin. Shakeh Major Tchilingirian is an acclaimed solo dance artist, choreographer and performing artist based in London. Her unique presentation and interpretation highlight the power and spirituality of Armenian dances. Shakeh turns her dances into intricate ‘narratives’ of the human spirit as in her productions of “Spirit and Passion”, “1001 Journeys” and numerous other collaborations. 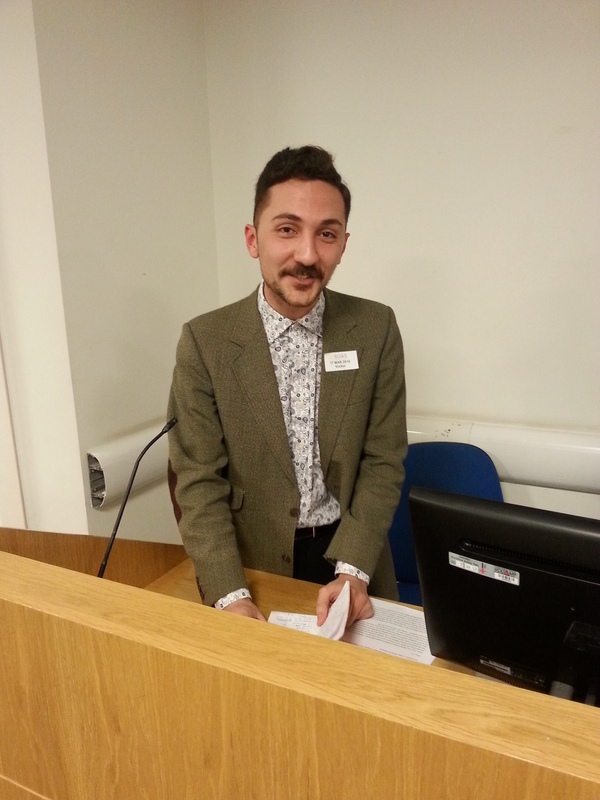 The lecture and discussion was chaired by Adham Smart. The event took place in London on the 17th March, 2016. Jasmin developed a solo dance piece in 2013 called iz-le. The name of this piece includes the Turkish words “iz” (trace), implying the historical nature of the piece as it represents Jasmin’s struggle and questioning of her own traces within her family, and “izle” (watch), which refers to the audience watching the performance from above. This piece was largely informed by Jasmin’s travels to Turkey in 2011, notably to her grandfather’s village, Kiske, near Caesarea (Kayseri). She had known that her grandfather was of Armenian descent, but was adopted by a Turkish family, and so she sought to discover more about the life he lived and, more specifically, about the way in which he himself would have struggled with his identity. During her travels she felt that she had to film her journey in Turkey in order to document the people she met and way of life that her grandfather would have lived. Jasmin also then visited Armenian Diaspora communities, notably in Lebanon, whence she was inspired to learn more about Armenian culture and to learn Armenian folk dances. She was then put into contact with Shakeh with whom she went through a 3-day workshop learning several folk dances and also discussing the wider issue of the experiences of the Armenian Diaspora(s). Jasmin was also interested in the way that dances within the Armenian Diaspora could be used as a means through which Armenian communities could survive after being cut off from the land on which they had lived. The folk dances that Jasmin learnt with Shakeh were incorporated in subtle ways in Jasmin’s own “iz-le” piece, which one may consider to be a “contemporary” dance. Jasmin described her piece as a “ritual” in which she displayed the struggle with her identity through dance movements. Jasmin then showed us the 10-minute short film she had made. It included her journey in Turkey where she met with and interviewed locals in and around Caesarea (Kayseri)who recounted stories of Armenians in the city and their violent expulsion. This was followed by an extract of Jasmin’s “iz-le” dance performance. Shakeh then opened a discussion with Jasmin to whom she posed the question of what Jasmin was attempting to convey to the audience in the performances of “iz-le” and what she intended the witnesses to see. Jasmin responded by saying that the distance between the audience and the performer is significant. The audience finds itself attempting to follow Jasmin’s “traces” within her performance, and yet this is a process of assumption on behalf of the witness. It was important for Jasmin to leave plenty of space for the spectator so that they may observe her story as clearly as possible. Shakeh then mentioned her experience of teaching Armenian folk dancing in Turkey to Turkish students. What overwhelmed her was the ease with which these students picked up the gestures and movements of the Armenian dances. This led Shakeh to surmise that the land upon which such dances developed and were performed plays a significant role in the whole shared cultural experience of the people of that land and the traditions that arise from it. Despite Jasmin not having actually lived on that land, she had experienced that culture from afar and this was the basis of her connection to Armenian dance and the motivation for her to incorporate it into the “iz-le” performance. By leonaslanov in Uncategorized on June 7, 2016 .